1. For those who have never heard of you, can you talk a bit about the music project? 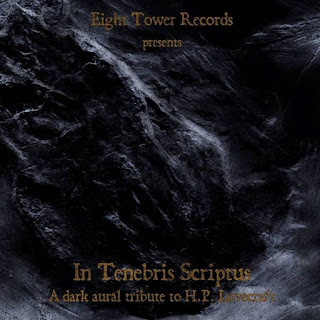 1. калуђер was born initially as a dungeon synth project almost a year ago, when I learned about the genre on bandcamp and listening to Old Tower, the main source of inspiration for the project; lately along with the dungeon synth music, I wanted to insert elements of extreme metal mainly inspired by groups like Portal (most likely will come out something of this kind of music with калуђер), known thanks to my dear friend. 2. My sound draws mainly from distant times (mainly fourteenth-century and Renaissance medieval) and natural landscapes (like forests, mountains) but also from esotericism, legends and magic. 3. Your work is inspired by the writings of J. R. Tolkien, can you tell us something more about your interest in this author?3. Let's say that everything started when I first read the Lord of the Rings; from then on I start a period of interest in fantasy literature mainly that then influenced the music (I had a period in which I mainly listened to power metal), still the Rhapsody of Fire are one of my favorite groups (I stopped being interested to their albums after the release of the guitarist Luca Turilli). Later Tolkien's books are the only literature of fantasy genre that I can support (I'm reading in recent times one of the last posthumous books out where all his letters are collected), also because behind his books there is just a historical, philological and linguistic research. 4. What is the meaning and inspiration behind the name "Kanjhep"? 4. калуђер is a person who has chosen to follow a monastic and eremitical life in search of a lost spirituality and a search for itself; despite the main issues this can also be considered as a project of social criticism on the fact that today the world does not allow people to stop for a moment to meditate and look inside themselves (in my opinion spirituality can be an aid to meditation), a theme dear to me and that I try to include in all my projects. I chose the name in Serbian because I really love the languages ​​and the culture of the countries of Eastern Europe. 5. With this project, record all by yourself, are you open to working with other musicians or do you prefer to work alone? 5. For my solo projects I record all by myself, the only collaborations are split with other artists; I had and I currently have experiences with bands of various musical genres, even if for a while I chose not to do group experiences anymore. 6. Recently, in which a part of a division with 'Il Cinghiale', what are your thoughts on the other musical project that had participated in the recording? 6. With Valerio (the one who hides behind the Boar) we have known each other for a few years and, knowing each other, we have discovered that we have shared musical interests, and this is where our collaboration came from; I have always loved Valerio's music and other projects (especially his last solo album) and, when I can, I try to be present at his concerts. 7. On the world level, how were the feedbacks to your music from the fans of the synth dungeon? 7. Being a new project калуђер, I received little attention, however, the comments were always positive and I always accepted the advice that gave me the most experienced lovers of this genre. 8. What is happening with your other musical projects? 9. Where do you see yourself going to music in the future? 9. I hope to find a job in the music field to be able to support myself. 10. What are some bands or musical styles that influence your music and also what are you listening to nowadays? 10. My musical influences are really too many and come from all kinds. Surely my main influences come from my guitar teacher Anthony Sidney (guitarist of the Italian jazz-rock group Perigeo and great classical music composer), then surely by Frank Zappa, Steve Vai and Riccardo Marasco (traditional Florentine songwriter), Edgard Varese and various musical genres such as blues (Robert Johnson is one of my favorite guitarists), jazz fusion music, Renaissance music, baroque and contemporary classical; for Kluisenaar I can quote F.ormal L.ogic D.ecay (a great friend with whom I had the honor of playing live a short time ago), Steve Reich, Juri Camisasca and Franco Battiato; for Infector http: // Blank Banshee, Oneohtrix Point Never, Dj Shadow and Igorrr; for калуђер Old Tower, Rhapsody Of Fire, Portal, Jim Kirkwood, Renaissance / Baroque music and Gregorian chant. The musical influences come also from the artists (friends and not) with whom I came into contact as the projects of friends Valerio Orlandini, Zabuba Nevresky, Andrea Guerriero Edoardo Pistolesi and many others. I am currently listening to various groups: many compilations of vaporwave and dungeon synth but also very jazz of Pat Metheny and Weather Report, I have just finished listening to the discography of Death, Cynic and Mr. Bungle, very alternative metal and nu metal, King Crimson and djent. 11. What are some of your non-musical interests? 11. My non-musical interests are to read a lot, to fish, to go hiking (unfortunately I can make very few of them lately) and to ride a bike (this last activity helps me to relax a lot). 12. Before concluding this interview, do you have any words or final thoughts? 12. Definitely. I want to thank not only those who support my music but who support experimental and underground music in general, listening to it, buying it and making it known to friends or on facebook, I also want to appeal to listeners and composers of any musical genre: do not stop to a single genre or to a few musical genres but expand your knowledge because the inspiration for any kind of music can come from any kind of music and never stop experimenting on your music even inserting musical elements that are not similar to the genre you do. Finally thanks for the interview and for listening to my music. 1.Can you give us an update on what has been going on with the musical project since the release of the new ep? Hi! I am working on new material, planning some concerts in the fall, spending a lot of time at the countryside taking photos - visual side of the project is very important for me. Also I've been spending a lot of time on self-education in the field of music studies and sound studies. 2.Recently you have released a new ep, what are some of the things you feel you have done differently with this recording that you where not able to do with previous releases? Finally I'm satisfied with the sound production! Also I've recorded most of the instruments by myself. New compositions have more powerful sound. 3.Most of your music is instrumental, would you be open to using vocals on any of the releases? Well… I've thought about it many times. May be I will use some vocals in the future, who knows… Btw, I used overtone singing when remixing Sni Hmar track by the Ukrainian band Viter. 4.A lot of your musical themes focus on 'Siberian Shamanism', can you tell us a little bit more about your interest in this topic? I’m interested not only in Siberian shamanism, but in shamanism at all, as an archaic proto-religious culture. This is an outlook that seems completely different from the modern outlook. All these rituals, calls to spirits, and taboos looks so strange for the modern man. But if you look closely, you'll see that some basic principles have been passed down through the centuries. The modern man also has rituals (not only religious, for example greeting rituals), also has taboos, also has his myths. As to the music, the basic principle hasn't changed either. Speaking about Siberia, some ethnic groups here have preserved their archaic culture and religion. I respect that. The whole reason to study different cultures is to understand your own culture and to understand yourself better. Through music I’m trying to re-create some archaic feeling of magical nature, to take listeners to another worlds like shamans do. 5.What is the meaning and inspiration behind the name 'Liholesie'? Liholesie is the Russian translation of Tolkien's Mirkwood. As we know, the writer took the word Myrkvidr from the Norse mythology. I like how it sounds and its connotations - twilight, dark forest, that divides one world from another. Music itself can be such a thing, that takes listeners from the everyday world to magical worlds. 6.In your logo you also include a lot of runes, can you tell us a little bit more about how you got interested in this ancient language? Actually, Liholesie hasn’t a permanent logo, and I can remember only few pictures, where I used a stylized alphabet, that looks like runes. As I remember, I became interested in archaic cultures when I was a teenager. I listened to black metal and read many books about paganism, shamanism, runes, mythology and so on. Not all of them were really good. 7.On the albums you record everything by yourself, do you feel this gives you more room to be creative with your music? There are both positive and negative aspects of such recordings. On the one hand, If you want something done, do it yourself. True, but on the other hand it's impossible to be the best at everything. Sometimes I need a fresh look and some new unusual ideas. 8.For a few years you also had taken a hiatus, can you tell us a little bit more about what was going on during that time span? It's simple, I hadn’t enough time and inspiration for music. 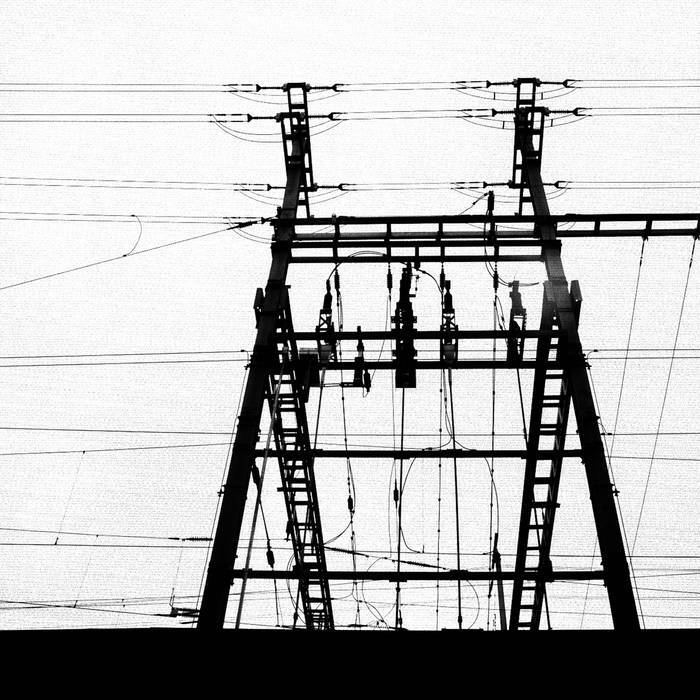 Work, photography and troubles in my life were taking away all my energy. I think that hiatus isn’t bad, it can help take a fresh view and bring new ideas. 9.A few years back you where also a part of a split with a black metal band, how would you compare that genre to what you are doing with your music? Of course, black metal inspired me, but I don't feel a strong connection between it and actual Liholesie. Real (true if you want) black metal is about darkness, destruction and negativity, and my music is about other things: nature, heritage and spiritual quest. While there may exist points of agreement, it is no less certain that there are also significant differences. 10.What are some of the best shows that you have done over the years and also how would you describe your stage performance? The last show in Ekaterinburg in the last spring with Ultar and Srub was very memorable. There was a big club, good sound, great light, wonderful audience… what more could I ask for? Liholesie stage performance is rather modest. I use stage clothes, accompanying video and just play my music using keyboards and some ethnic instruments. 11.Do you have any touring or show plans for the future? Yes, I have some plans for this fall, but nothing concrete yet. 12.On a worldwide level how has the feedback been to your music by fans of ethnic, ritual and ambient music? My project is best known on the territory of the ex-USSR than worldwide, so the feedback was not big but positive. The listeners came to the conclusion that the music and the sound had changed much, but the composer's fingerprint had remained discernible. 13.Where do you see yourself heading into as a musician in the future? I prefer not to predict the future. Time will tell. Many styles and bands influenced me, and continue to inspire nowadays, from ethnic to electronic music, and from classical music to extreme metal. One of the musicians that I listen most to is a Swedish composer named Ulf Söderberg. I have many interests besides music: photography, anthropology, psychology, history of religions, sport, traveling… Sometimes I wish there were more than 24 hours a day. I want to thank you for the interesting interview and wish you good luck! May the force of nature be with you! 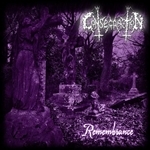 Consecration are a band from the United Kingdom that plays funeral doom/death metal and this is a review of their self released 2018 compilation album "Remembrance" which consists of their 2014 full length, unreleased 2011 demo recordings, and their 2010 ep. A very powerful sounding bass guitar starts off the compilation along with some drums being added into the music a few seconds later while the riffs also bring in a great amount of dark and depressive sounding melodies as well as the slower riffs being very heavily rooted in doom metal. Consecration plays a style of doom/death metal that is very heavy and also captures the heaviness of funeral doom metal, the production sounds very professional while the lyrics cover death, despair, darkness and occultism themes. 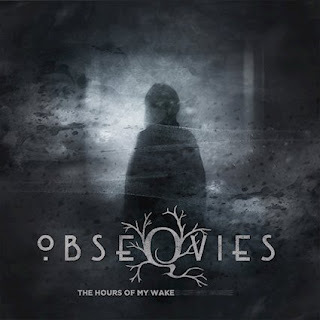 In my opinion this is a very great sounding collection from Consecration and if you are a fan of funeral doom/death metal, you should check out this compilation. RECOMMENDED TRACKS INCLUDE "In Decayed Embrace" "Purity Through Pain" "Persecution Dominion" and "Cast Down For Burning". 8 out of 10. Liholesie is a solo project from Russia that plays an instruemntal mixture of ethnic, folk, ritual music and dark ambient and this is a review of his self released 2018 ep "Fables"
Nature sounds start off the ep along with some atmospheric drones in the background before adding in neo folk elements onto the recording while t he synths also bring in a great amount of dark ambient elements as well as a great amount of programmed beats and all of the music is instrumental. When percussion is utilized it gives the music more of an ethnic, shamanistic and ritualistic atmosphere while a couple of the tracks are very long and epic in length along with a decent amount of Slavic folk instruments and acoustic guitars are also added onto the closing track. Liholesie plays a musical style that takes folk, ethnic, ritual and dark ambient and mixes them together to create a sound of his own while also keeping everything instrumental and the production sounds very dark. 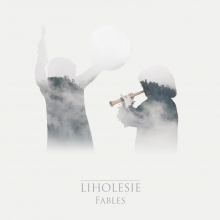 In my opinion Liholesie is a very great sounding mixture of ethic, folk, ritual music and dark ambient and if you are a fan of those musical genres, you should check out this solo project. RECOMMENDED TRACK "North". 8 out of 10. The group was created in 2013 in Tver (Russia). Its basis was the ethno-cultural association "Tverzha", created by us. There we were engaged in the research of the past of the Tver region of Russia. We did this in order to update the past in the present, folk songs especially. It means not just to perform old forgotten songs, but also to give them a modern sound, to revive them with hope for the future, with faith in the continuation of the tradition. 2.So far you have released 2 albums, how would you describe the musical sound that is presented on both of the recordings? 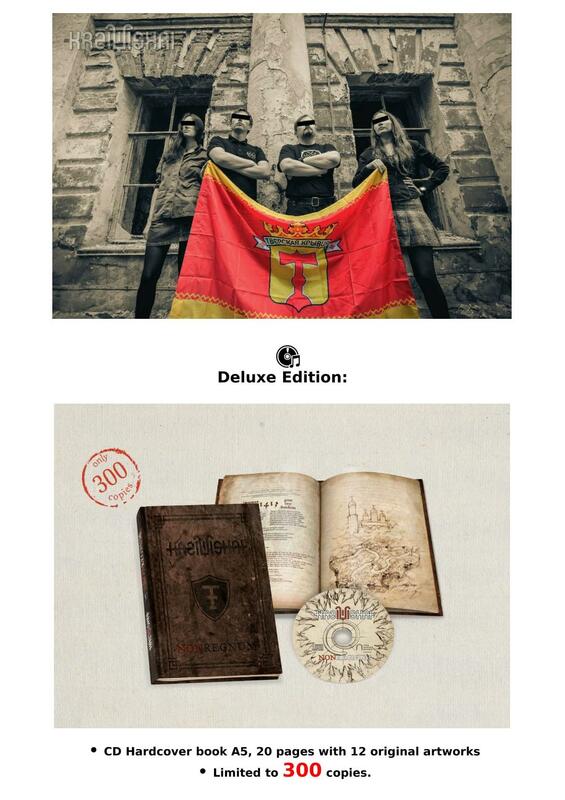 In our opinion the albums are very different from each other. The first album was simpler and more authentic, a mixture of ambient and ethnics. The second one is completely different; it took much longer to create it than the first. We wrote it for 3 years, while the first record took us 3 months. Nonregnum is much more complicated than Zemmis Supnai. There is less ethnics, but more people were involved in recording, more instruments. As for genre in the sound appeared martial, neoclassic, post-folk, darkwave and even black metal. 3.A lot of your lyrics cover the Paganism of your home country, can you tell us a little bit more about your interest in this topic? Not of the country, but of the Tver region. True paganism is always local and consists of many original cults, especially when we are talking about large territories. The area of ​​the Tver region, for example, is larger than the area of ​​many European countries, such as Estonia, Czech Republic, Lithuania etc. The members of the group have come to paganism in different ways, and understand it in different ways. But all of us are united by the idea of ​​the aesthetics of the ritual, the sanctity of nature and love for true Tver culture and Tver land. 4.What is the meaning and inspiration behind the name 'Kreiviskai'? In Old Prussian it means "In Krivsk", "Krivichi". Krivichi were a union of Balto-Slavic tribes, which have become an ethno-forming nucleus of the population of the Tver region. Before the founding of the Old Russian state and the transition to the Slavic language, the Krivichi spoke the Baltic language and professed the Baltic pagan faith. The Old Prussian language, which today belongs to the extinct reconstructed languages, was also a member of the Baltic language group. Denoting this ancient connection, we chose this project name. We think, there aren’t any. Kreiviskai is a studio project, never performed on stage. There were some ideas to get the project on stage. But so far we haven’t come to it and we don’t see any need in it. 7.So far you have worked with 'Casus Belli Musica' and 'Cold Dungeon Records on getting your recordings released, do you feel both of these labels have been very helpful when it comes to getting your music out there heard? "Casus Belli" is an experienced label, and everything was organized more than well, in our opinion. As for Cold Dungeon Records, it's hard to be objective here, as it's our own label, created specifically for the Kreiviskai project. At a certain point it became clear that the creation of the album is possible only if we monitor it without someone else's guidance. Using the example of Nonregnum, we can say that we have succeeded. 8.On a worldwide level how has the feedback been to your music by fans of neo folk? So far all the feedback we received is very good, but we can’t speak for all the fans of neo-folk. Kreiviskai is not particularly known or popular in the world of neo-folk. Yes, our music was appreciated by many, but realizing and understanding of the depth and complexity of the conceptual part, philosophy, meanings are still to come. Most likely there will be a third album, and probably it will be the last one. Content and concept for us is more important than music. If there would be nothing to talk about and it would seem to us that we have said everything, the project will be closed. The first album was dedicated to nature, Tver folklore and paganism, the second - to the Tver Middle Ages. The content and the concept of the third album will remain secret for now. A special influence was made by Tver and Baltic folklore, the Lithuanian and Latvian neo-folk, the Wardruna project, the Belorussian ethnic and so on. We listen to music of different genres, from authentic folk singing to black metal and EBM. Every member of the group has a hobby. We share such hobbies as publishing activity, popular scientific researches in the field of history and archeology, studying linguistics and languages in particular. And, of course, travels - pilgrimages to the sacred places of our ancestors, local history and mountaineering, ritual practices. Slavnik, in the middle of 2015. It is my personal way to explore themes like darkness, life, death, mistery, occultism and some others. mastering. It fits better with neofolk and dungeon synth. While “Innocence” sounds much better not only in the recording quality, but also in style. It fits more dark ambient style, played with piano and synths, which is maybe my favourite kind of style. As I said in the previous question, the themes Alba brings are death, life, darkness, mistery, nature, occultism, but everything I want I will tell too. Every theme is interpreted in a personal point of view, though. 4.What is the meaning and inspiration behind the name 'Alba'? 4. Alba means dawn in italian language. I had a very deep and dark period, that changed my life forever in a better way. There was a specific moment in which I realized that it was the dawn of a new day, the dawn of a new life. I’m always opened in collaborations with new artists. 6.So far you have worked with Depressive Illusions, Wolfrune Worxx and Masked Dead Records, are you happy with the support these labels have given you so far? the first time the mini-CD format, which I found really interesting and particular. 7.On a worldwide level how has the feedback been to your music by fans of neo-folk and dungeon synth? 7. 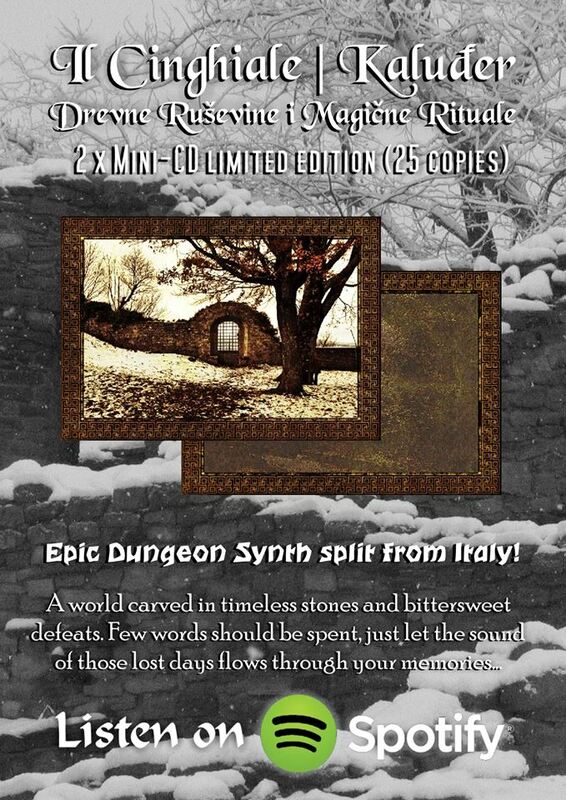 I had a very positive feedback by the Dungeon Synth Community. “Innocence” songs both fits in some Dungeon Synth Compilations. 8.Where do you see yourself heading into as a musician in the future? 8. I don’t have a definite goal with my music. I just write, record and release my music for myself. It’s my way to express myself. Illusions Records, in CDs and tapes. The project is closed, but it will be integrate with Alba very soon. of metal, and music in general. 11. I really show interest toward every kind of music. But I think drone music is a kind of genre that I would never play. ever! And to everyone that follows and supports Alba: beware yourself! There are a lot of surprises coming up! Vortex is a solo project from Germany that plays a cinematic mixture of ritual and dark ambient and this is a review of his 2018 double album "As Gods Fall" which will be released on June 21st by Cyclic Law. Ritualistic soundscapes start off the album along with some melodic chants while soundtrack movie orientated synths are also used at times as well as some militant beats and at times the music also captures a very medieval and epic sounding atmosphere and folk instruments can also be heard at times. Clean guitars can also be heard briefly while all of the musical instruments have a very powerful sound to them along with some of the tracks being very long and epic in length and some of the tracks also bring in a small amount of electric guitars as well as the spoken word parts also giving the songs more of a ritualistic feeling when they are utilized and some tracks also bring in atmospheric sounding drones and nature sounds and as the album progresses stringed instruments and acoustic guitars are added onto the recording, some of the tracks are also all instrumental. 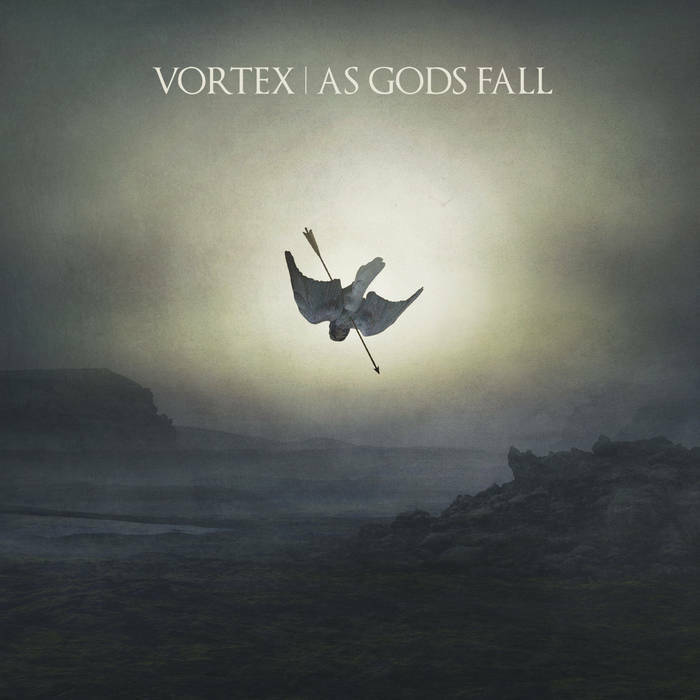 Vortex plays a musical style that takes cinematic music, neo-folk, dark ambient and ritual and mixes them together to create a sound of his own, the production sounds very dark while the lyrics cover the Nordic Mythology and Paganism of The Eddas. In my opinion Vortex is a very great sounding cinematic mixture of dark ambient and ritual and if you are a fan of those musical genres, you should check out this solo project. RECOMMENDED TRACKS INCLUDE "War Is Coming" "Odhinns Wrath" "A New World" and "Into The Void". 8 out of 10. 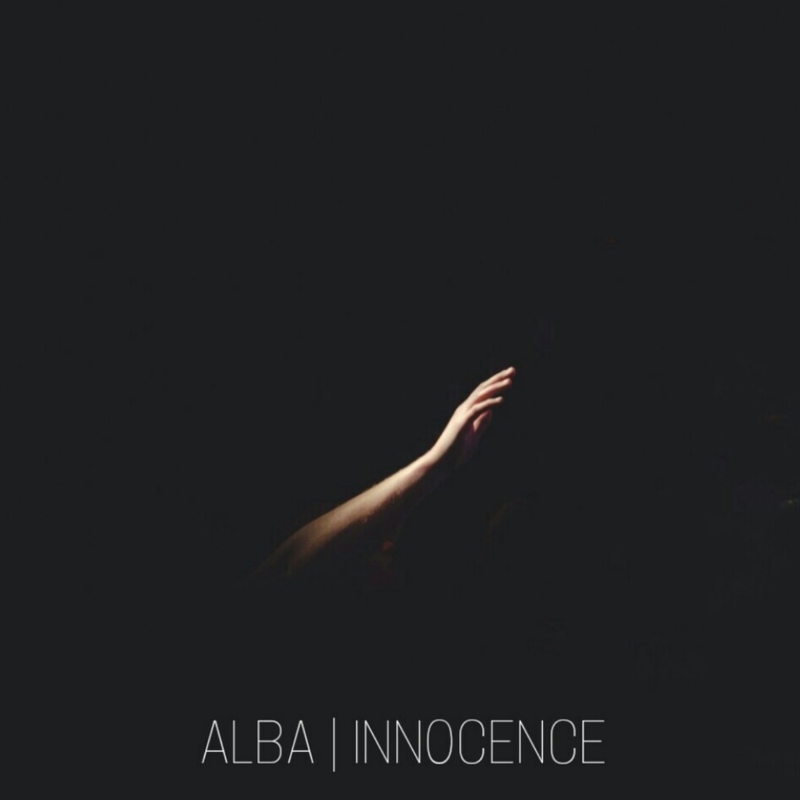 Alba are a solo project that plays a mixture of neo-folk, dark ambient and dungeon synth and this is a review of his 2018 ep "Innocence" which was released by Masked Dead Records. Tragic sounding skeyboards start off the ep and also bring in elements of ambient and dungeon synth along with a variety of many different sounding keys which also makes the songs more atmospheric while both of the tracks are very long and epic in length as well as the drum beats being programmed and all of the music is instrumental and also adds in touches of neo-folk. 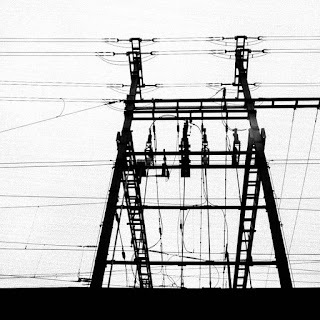 Alba plays a musical style that takes dark ambient, neo-folk and dungeon synth and mixes them together to create a sound of his own while keeping everything instrumental and the production sounds very dark. In my opinion Alba is a very great sounding mixture of neo-folk, dark ambient and dungeon synth and if you are a fan of those musical genres, you should check out this solo project. RECOMMENDED TRACK "Mother Darkness". 8 out of 10. 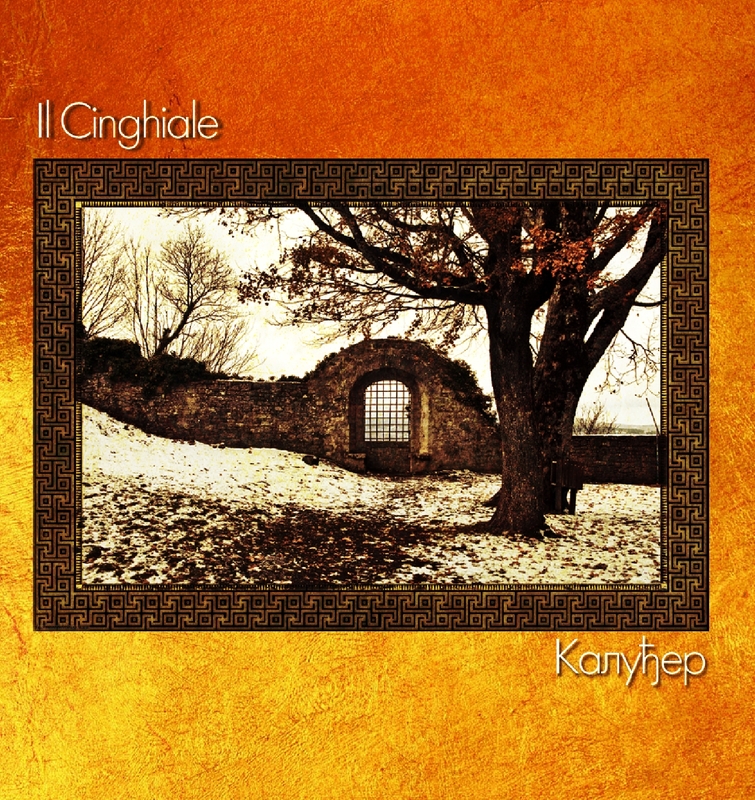 This is a review of a split album between Italy's II Cinghiale and Kanjhep called "Drevne Rusevine i Magicne Rituale" which was released by Masked Dead Records and we will start off the review with II Cinghiale a musical project that plays dungeon synth. Their side of the split starts out with neo-classical style synths and symphonic elements while programmed and martial beats can also be heard in the background along with most of the music being instrumental and when spoken word parts are utilized they give the music more of a ritualistic feeling and on some tracks they team up with Kanjhep and the music goes into more of a dungeon synth direction and elements of ambient can also be heard at times and the production sounds very dark. In my opinion II Cinghiale are a very great sounding dungeon synth project and if you are a fan of this musical genre, you should check out their side of the split. RECOMMENDED TRACKS INCLUDE "The Legacy Of The Old Kingdom" and "Lost In The Forest". Next up is Kanjhep a musical project that plays a Tolkien inspired form of dungeon synth. Their side of the split starts out with epic sounding synths while some tracks also include work with II Cinghale along with most of the music being instrumental as well a s adding in elements of neo-classical and later songs bring in elements of drone and dungeon synth, one track also adds in a small amount of whispers and spoken word parts and the production sounds very dark. In my opinion Kanjhep are a very great sounding Tolkien inspired dungeon synth project and if you are a fan of this musical genre, you should check out their side of the split. RECOMMENDED TRACKS INCLUDE "Rituals At The Lake" and "The Ancient Manuscript'. In conclusion I feel this is a very great sounding split and I would recommend it to all fans of dungeon synth. 8 out of 10.